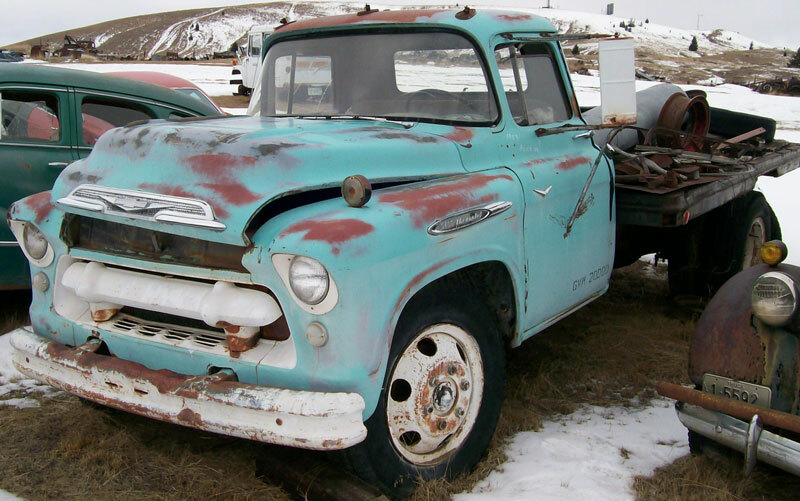 The Indian Turquoise 1957 Chevrolet Series 6400 2 ton flatbed truck is a mostly complete commercial truck ready to the restored or customized. The body has excellent dry and rust-free sheet metal. The windshield and door glass are broken. There is a dent above the right headlight. The top of the front bumper is bent. The hood hinges are bent. The right door has been replaced and it is dented. The tail of the right fender is dented. The left door is sprung and the sheet metal is bent on both sides of the hinge seam. Both doors do not open correctly and need some hinge and alignment work. The three roof running light lenses are missing. The back top of the cab is dented. There are some small dents in the back of the cab. The truck has a commercial steel and wood 12 ft. flatbed and the wood is deteriorating and the side frame sheet metal is dented. The bed side sheet metal is cut out above the rear dual wheels. There are add-on fender-mounted turn signals and left door tow mirror. There is a shop-made rear tow bar. The antenna is missing. The black and gray interior is all there. The dash and gauges are complete except some of the knobs are missing. 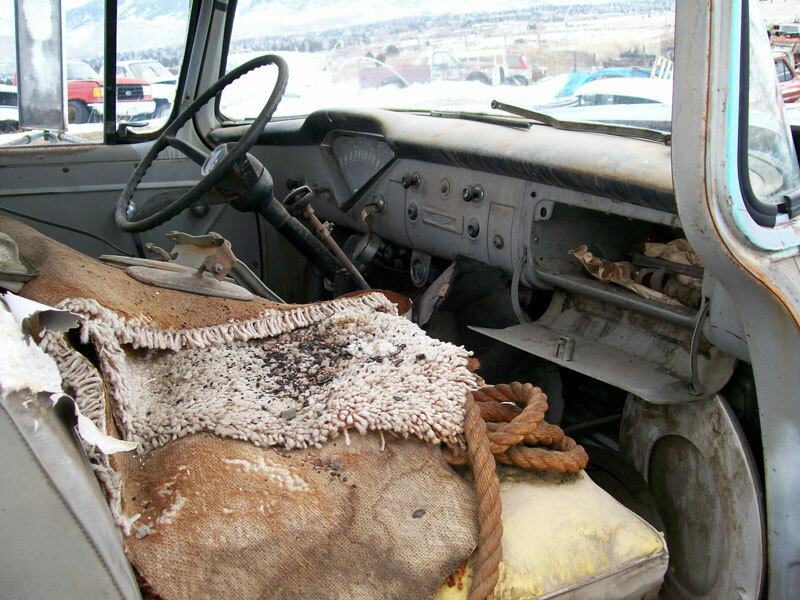 The original stock bench seat is there. The floors are solid. The odometer reads 35,090 and it has likely turned over once. 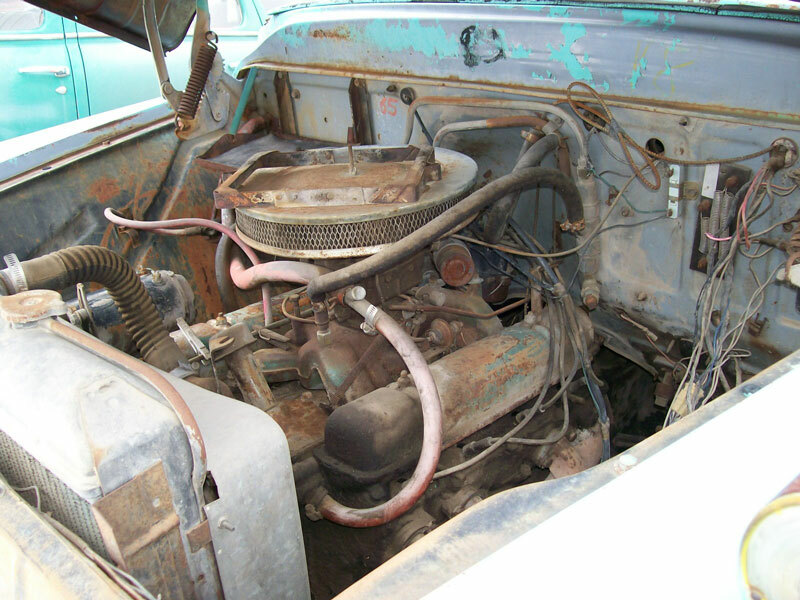 The truck has a 1960's era Buick 215 CID OHV 155 HP 2V Fireball V-8 motor. The four speed manual transmission and two speed rear axle are stock. The running and driving condition is unknown. Here is your change to restore or customize a desirable 57 Chevy commercial flatbed truck. 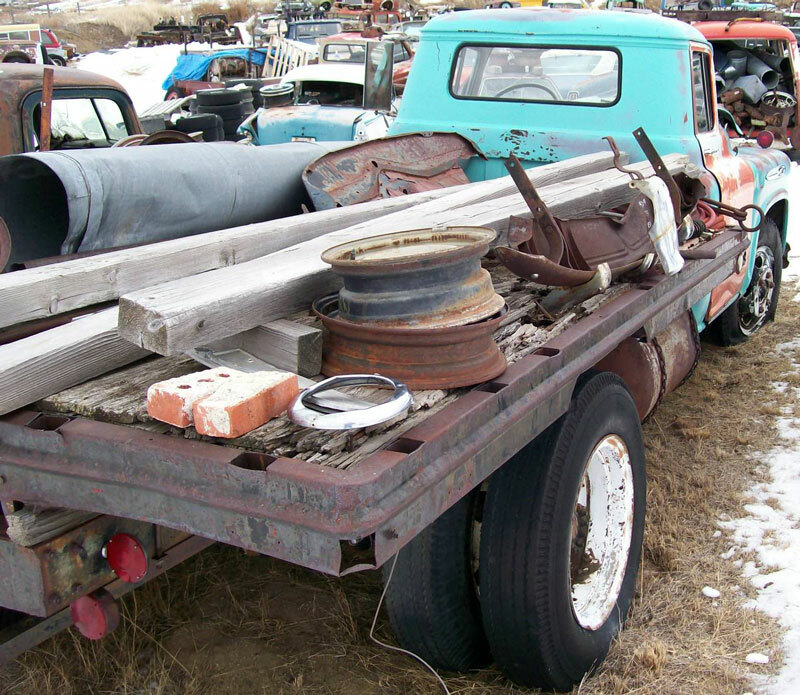 Please call (406) 318-0270 for details about this restorable classic 75 Chevy 6400 project truck. For sale $2,700.